Since Versus relaunched in 2009, its main goal has been to showcase new talents and celebrate collaboration. Over the years, artistic director Donatella Versace has enlisted the likes of Christopher Kane, Anthony Vaccarello and Jonathan Anderson to design collections. For AW17, she seems to have extended this collaborative mentality to the campaign – tapping Dazed’s co-founder Jefferson Hack as the executive creative director for the project. Photographed by Ben Toms, styled by Dazed’s creative director Robbie Spencer with art direction by Jamie Andrew Reid, the images include eight young muses – each with their own talents and a trailblazer in their own right. Making up the group is rap artist Tommy Genesis, artist and transgender activist Hunter Schafer, actor Judah Lang and model Lily McMenamy. Other names include musician and model Rina Sawayama, hip hop artist Rejjie Snow, artist and model Wilson Oryema and singer-songwriter Cosmo Pyke. 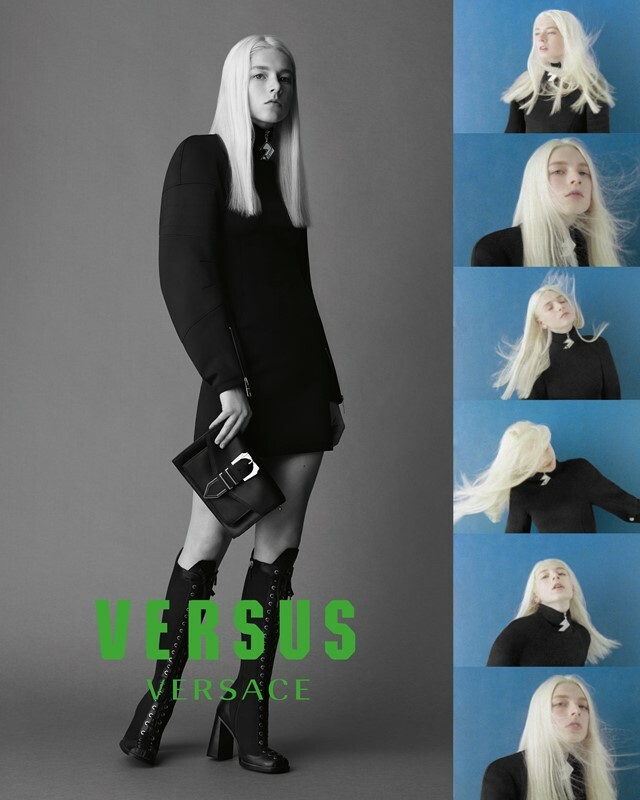 “I really admire the young creatives in the new Versus Versace campaign,” said artistic director Donatella Versace. “I call them the Sub-Versus Generation, a community of subcultures taking a stand for their beliefs and for their individuality.” To highlight this the images are collated in a scrapbook-like style – sometimes spotlighting individuals or merging them together to show off their multifaceted natures. And if that weren’t enough, there is an accompanying video with music by God Colony, to give you another look at the talented group.